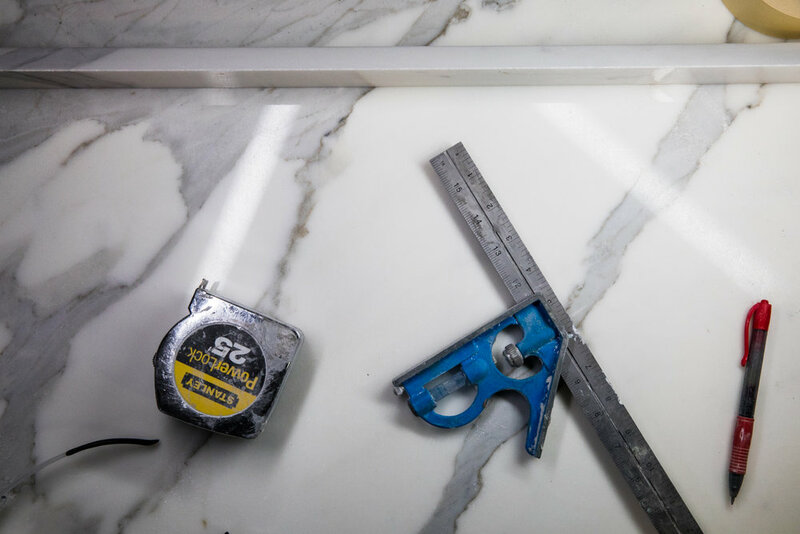 Our staff’s many years of combined experience in design, fabrication and installation has established European Marble & Granite as the leading natural dimensional stone company in Utah and the Intermountain West. European Marble & Granite is located in SLC, the crossroads of the West (see map below), but that doesn't mean we don't travel. You'll find our craftsmanship throughout the US. Many of our clients come to us accompanied by their own personal designers who are helping them with their entire design project. However, we also assist a great number of clients who ask for our help in creating their tile and dimensional stone specifications, and layouts. Our shop personnel inspire us every day with their talent, skill, precision, experience, and attention to detail. European Marble & Granite's installation teams take as much time as needed to achieve the perfectly fit and finished job. We appreciate their commitment to excellence exhibited by these craftsmen. In addition to their many other skills they possess great problem solving abilities.